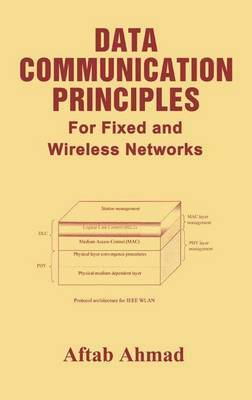 Data Communication Principles for Fixed and Wireless Networks focuses on the physical and data link layers. Included are examples that apply to a diversified range of higher level protocols such as TCP/IP, OSI and packet based wireless networks. Performance modeling is introduced for beginners requiring basic mathematics. Separate discussion has been included on wireless cellular networks performance and on the simulation of networks. Throughout the book, wireless LANS has been given the same level of treatment as fixed network protocols. It is assumed that readers would be familiar with basic mathematics and have some knowledge of binary number systems. Data Communication Principles for Fixed and Wireless Networks is for students at the senior undergraduate and first year graduate levels. It can also be used as a reference work for professionals working in the areas of data networks, computer networks and internet protocols.